Last night was the blood moon & solar eclipse. I spent a great deal of time outside taking photos of the rare event. The different stages of the moon were haunting and had me thinking of Halloween and of werewolves & vampires. All of these thoughts inspired a quick Halloween craft in between my moon peeping. I had a pile of cupcake liners that I had been meaning to put to good use, so we did. 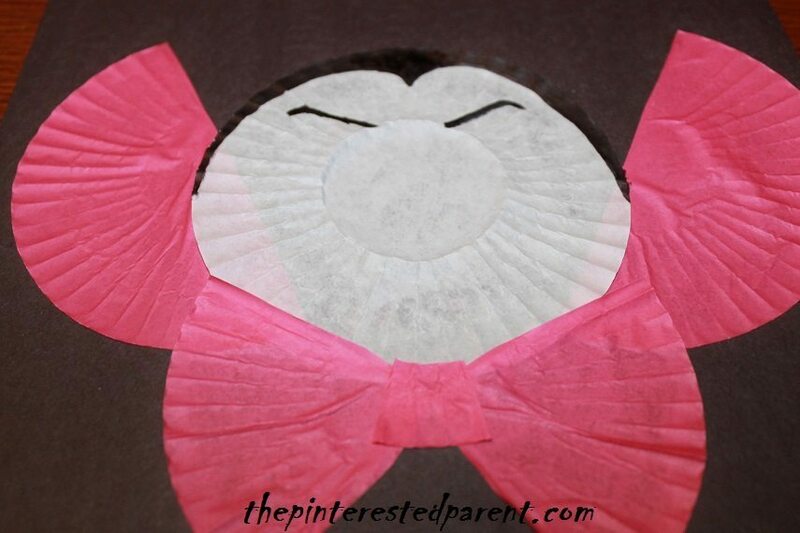 For this craft all you will need is a white or flesh toned cupcake liner, 2 red liners, a glue stick, googly eyes, black construction paper & a marker. Glue the white liner to a piece of black construction paper. Cut a red liner in half & cut the other into two small triangles. Glue the two halves to the side of the white liner to form the cape’s collar. Glue the two triangles to form a bow tie as shown. Cut a small red square & glue to the center of the bow tie. Draw in the vampire’s widow’s peak & eyebrows. 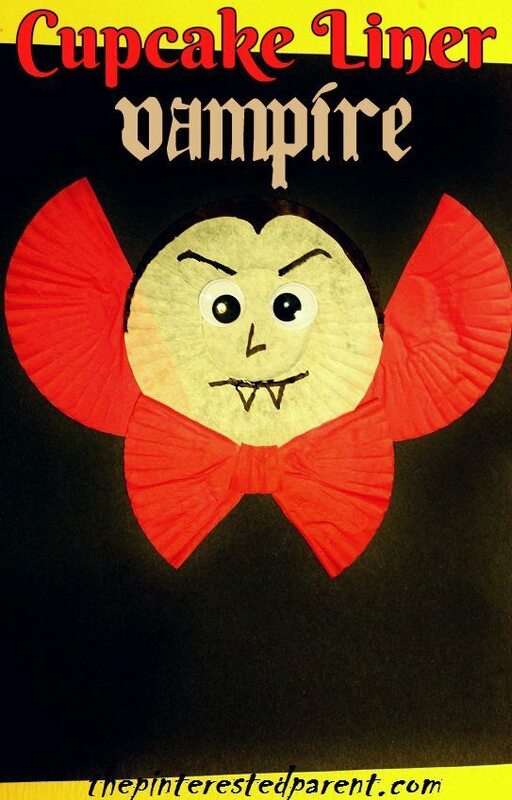 Finish it of by adding googly eyes & draw in the nose & fangs.